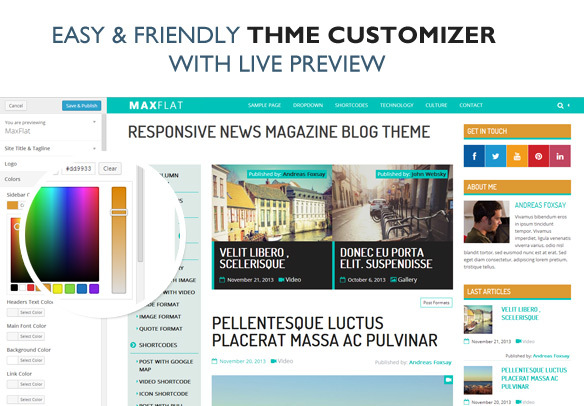 MaxFlat is a lightweight, clean & responsive WordPress theme for blog or small magazine. Customize this theme with user-friendly WordPress Customizer. Upload logo, change colors, modify all settings and see the preview in real-time before you save. You can customize the site to Your needs without complicated forms and HTML knowledge. 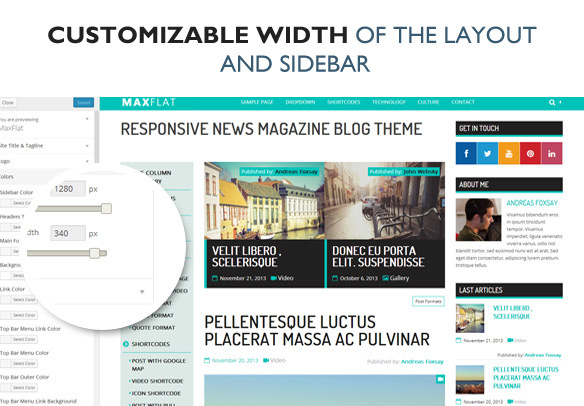 MaxFlat is based on Zurb Foundation front end framework. MaxFlat theme comes with a bunch of custom widgets. You can add Social icons, extended recent posts or another widget in 6 widget areas. MaxFlat has been prepared not only for users, but for search engines as well. Main contents are moved above sidebars(including both sidebar layout), now search engine will easily fine your main contents first. There is an extensive documentation included in this theme. It explains how to create and manage every detail we have implemented.